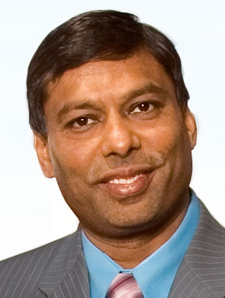 When serial entrepreneur Naveen Jain left the company he founded, InfoSpace, in disgrace in late 2002, a lot of people thought he would never be trusted by the financial markets again (see this three part series from the Seattle Times that talks extensively about the rise and fall of Jain at Infospace and details his violations of insider trading laws). At its height Infospace was worth $31 billion. Today it’s worth less than 1% of that. But memories are short, it seems. After leaving InfoSpace Jain started a new company, Intelius, across the street from his old offices in Bellevue, Washington. 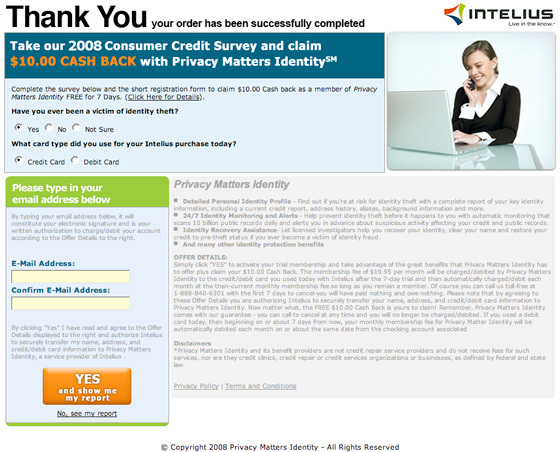 The company sells background information on people – they describe themselves as an “information commerce company.” They’ve grown rapidly and now claim that over four million people have purchased products from them. Revenue has grown from $18.1 million in 2004 to $88.5 million in 2007. In their most recent fiscal quarter, ending March 31, 2008 the company had $31.8 million in revenue, a nearly $130 million run rate. They are also very profitable, with $22.5 million in EBITDA in 2007. It’s no surprise that the company’s revenue growth and profitability have led them to pursue an IPO. Well known investment banks Deutsche Bank and UBS are underwriting the deal, which was first filed with the SEC on January 10. The most recent version of their registration statement, filed on May 19, is here. Given Jain’s history, you’d think he’d go out of his way to be squeaky clean at his most recent startup, particularly as the company is going public and under significant scrutiny. But that may not be the case. Here’s a screen shot of the offer. Click to see the full size version as it appears during the check out process. Of course you never hear from Adaptive Marketing again (why take a chance that you’ll wonder who they are). Instead, the credit card charges keep coming, and the company obviously hopes you never notice. This survey is quite literally a complete and total scam. And since users continue to pay forever (or until they try to stop it), the contribution to Intelius’ revenue grows significantly over time. And it also appears that the scam is what’s driving most or all of Intelius’ revenue growth. It’s not clear what percentage of the $20/month is given back to Intelius (it’s been redacted from the agreement they filed with the SEC). However, the company had $17.2 million in revenue in Q1 2007, and Adaptive Marketing accounted for just 1.5% of that. In the most recent quarter they had $31.8 million in revenue, and Adaptive Marketing contributed a whopping 38.9% of that total. Revenue grew by $14.6 million/quarter in the last year. The Adaptive Marketing scam contributed $12.4 million of that gain, nearly all of it. In other words, without the survey scam, Intelius would have nearly no revenue growth. Companies that aren’t growing don’t go public. How did I track all this financial data down? It’s all listed in the publicly available registration statement, prepared by the company and its bankers, accountants and lawyers. All of these parties, (Deutsche Bank, UBS, Karr Tuttle Campbell (company counsel), Fenwick & West (underwriters counsel) and BDO Seidman (accountants), have a responsibility to conduct due diligence and ferret this kind of stuff out. Apparently, no one noticed. Perhaps now they will. Update: Naveen Jain’s son responds to this post here.